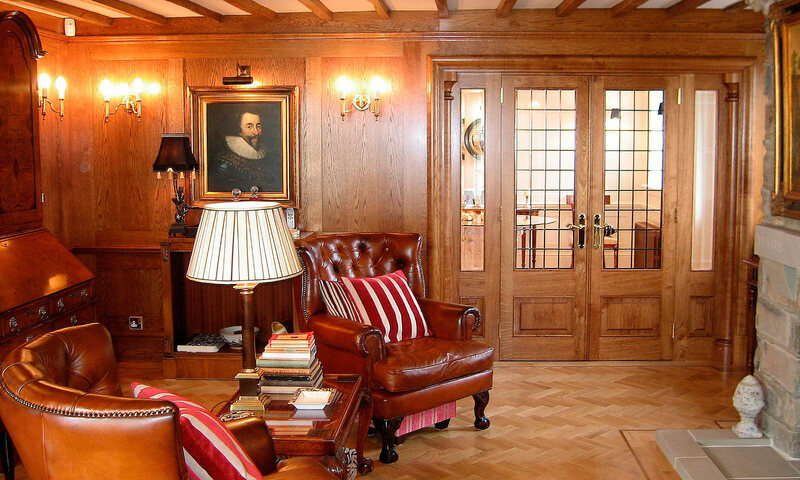 We updated and remodelled the oak panelling in the drawing room of this 1920’s house. 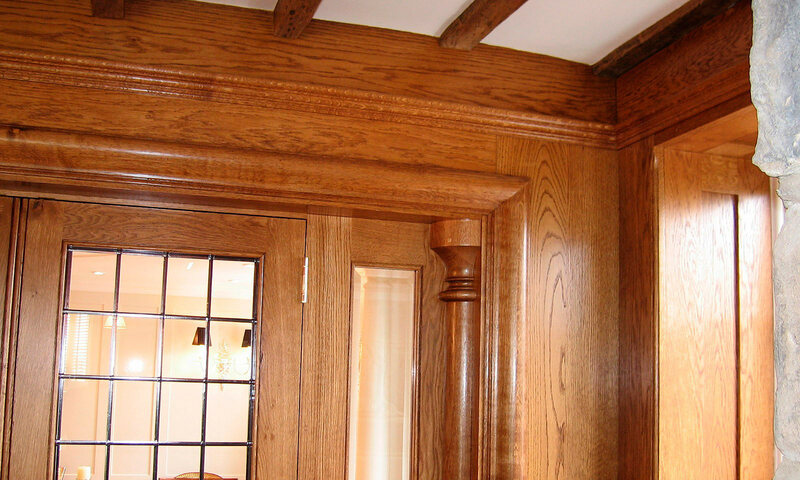 All the pediments, architraves, balusters and panelling were manufactured in European oak. 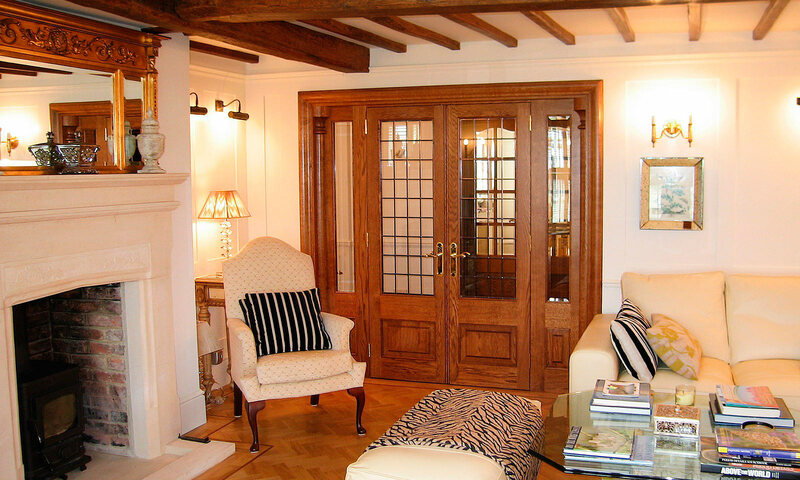 The fitting entailed cutting carefully around all the existing beams and the feature pillars to the internal doors were matched to those in the plaster work elsewhere in the house.